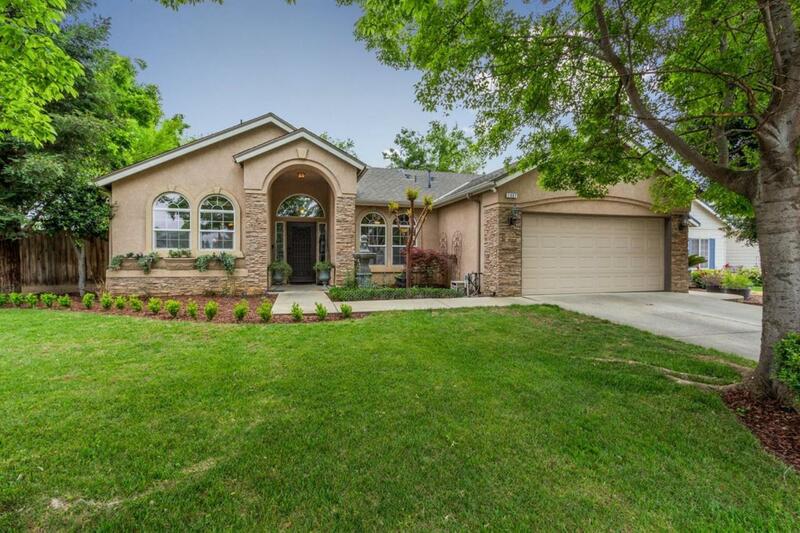 The perfect family home... Lovely 4 bedroom, 2 bath home on a corner lot in a pleasant Sanger Neighborhood. 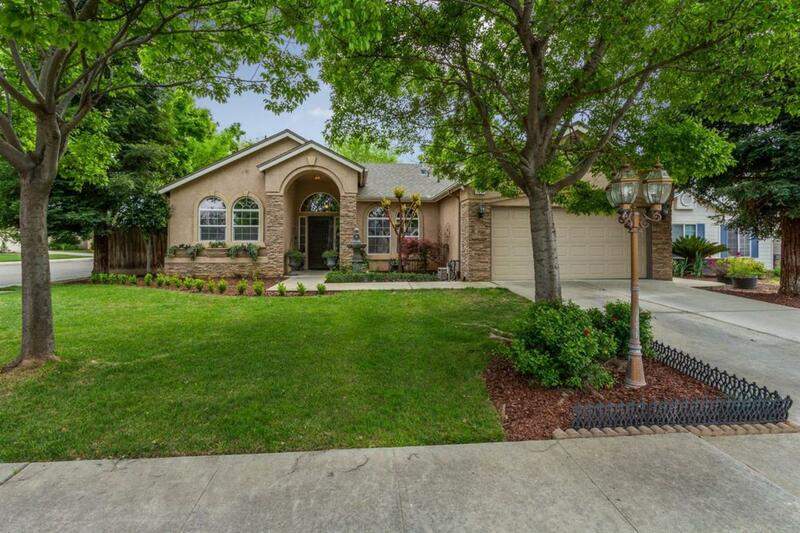 The mature landscape and beautiful entry invite you home. 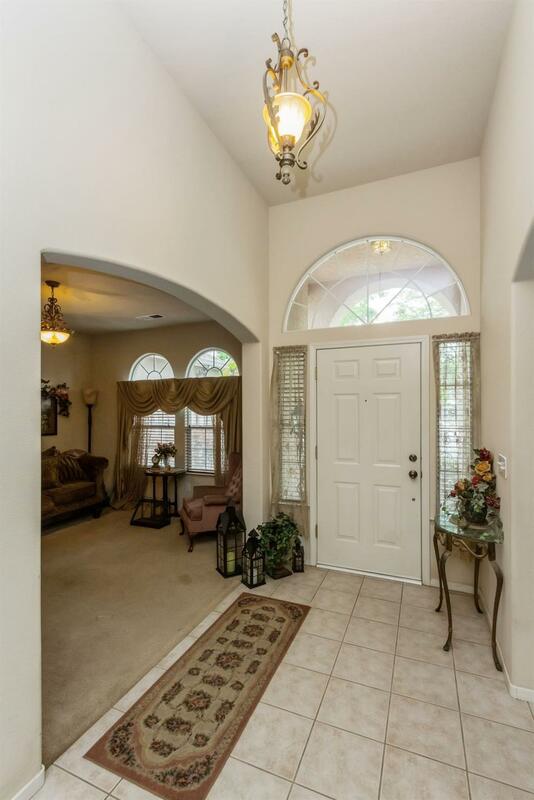 Grand high ceilings in the entry and the great room make this home feel light and spacious. Kitchen and great room are bathed in natural light from the dramatic arched windows. You'll love the cozy fireplace on the remaining chilly Spring nights. Spacious Master Suite with large walk in closet and a wonderful master bath with walk in shower, oval tub, two vanities/sinks and again, lots of natural light. The additional bedrooms are generously sized. Lots of storage throughout the home and a great big closet in the laundry room. Talk about handy! Finally, enjoy the shaded back yard and custom gazebo. The purchased Solar helps keep your utility costs to a minimum. Don't miss this! 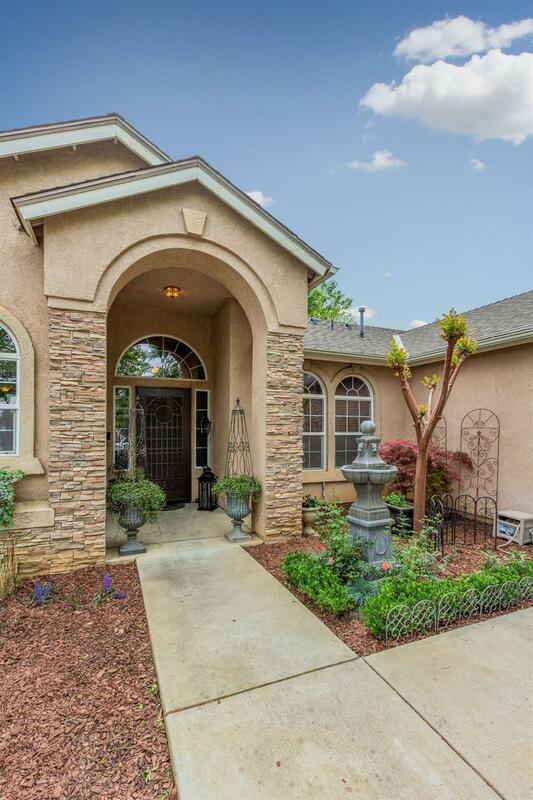 Listing provided courtesy of Lisa Melton-Reimer of London Properties-Kingsburg.